Aches and pains are the most common symptoms for which patients seek treatment. An ache or pain may be specific to a particular joint such as a knee, hip or elbow or generalised across a broad area such as the neck/upper back or low back/leg. It may have developed over years or have come on quite suddenly. It may result from a specific incident (such as lifting, a fall, a sporting activity or a car crash) or from repetitive strain to an area such as from spending long periods at a computer. Often aches and pains are associated with a loss of joint mobility and stiffness. Our bodies strive continually to be in balance but sometimes they struggle to achieve this on their own. Over time this leaves us vulnerable to pain and injury. Longstanding patterns of imbalance can be difficult to identify ourselves. 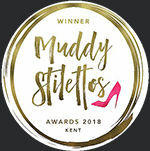 As part of your treatment I can help you understand how your unique body functions and what you can do to avoid problems in the future. Approaching life from a position of self-knowledge and understanding is a powerful tool which in turn will help you achieve a smooth, comfortable daily way of being. An assessment is made of your physical condition by looking at your posture and mobility and gently feeling the tone of your muscles and the flexibility of your joints. This helps to clarify the most likely cause of the problem. If it is necessary other tests may be used to assess the function of, for example, your nerves, lungs, heart and blood vessels. By going through the stages outlined above osteopaths are able to determine what treatment is most appropriate in dealing with the underlying causes of your condition. This usually includes massage and mobilisation techniques and is typically gentle and usually does not hurt. Cranial osteopathic techniques are also often used. It is important that you feel comfortable with your treatment and any comments that you have will be welcome. For example, sometimes deep tissue massage is used to release well established muscular tension. This may be uncomfortable for the short periods in which it is used. If you prefer, there are other techniques which can be used to achieve the same results but which take a little longer. You will be able to discuss treatment options such as these as and when they come up. Rarely patients have conditions that are not suitable for osteopathic treatment. If this is the case you will be advised what to do next. In order to build on what has been achieved during the treatment, you may be given simple exercises to do at home. You may also be given advice about whether hot or cold packs would help your condition. It is easier to assess and treat patients in their underwear. However, please don’t worry if you would rather not undress, as it is not essential. Flexible sportswear or thin clothing are good alternatives. If you would like to bring a friend or family member to be with you in the treatment room, please feel free. These last 30 minutes. You will be advised about the optimum time between treatments. Our aim is to help prevent injuries as part of your treatment. Although rehabilitation and prevention advice can often be incorporated into your osteopathy appointments, it is sometimes more beneficial to move out of the treatment room and into our studio for a physical movement practice. In these one-to-one sessions run by osteopath Ben Parker, you will receive hands-on, precise physical training tuition. Ben will assist, adjust and train you to know your body better, helping you to move beyond weakness and imbalance to a position of stability. These improvements can then be taken into whatever sports / exercise practice you choose as well as your day-to-day life. Ben can also devise a bespoke home training programme to help keep you on track and injury free! If you have any concerns about your examination or treatment, these can be discussed at the time or will be responded to promptly should you need to be in contact after your appointment. Every care is taken to avoid any adverse reaction to treatment but it is common to feel some transient soreness in the areas treated in the first day or so as your body’s tissues settle. Prolonged or marked deterioration in symptoms is extremely rare but is an inherent risk in any manual therapy. The General Osteopathic Council (of which all Registered Osteopaths are members) offers an alternative means for you to discuss any concerns. 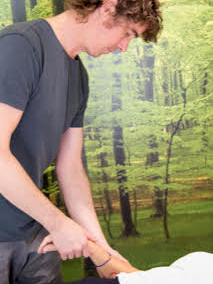 Ben has been a local osteopath since 1999 and has extensive experience in working with individuals with a wide range of physical complaints using both structural and cranial osteopathic techniques. 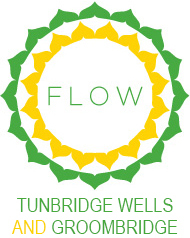 Ben opened Groombridge Osteopathy in 2001 and has expanded his business into Tunbridge Wells. He is particularly interested in helping people to understand the causes of their injuries and how to prevent their recurrence. Ben emphasises the importance of exercise in the process of recovery. The structural approach is what most people imagine when they think of osteopathy. Hands-on techniques are used to move joints and massage and stretch muscles to improve the function of the body. Techniques are also used that release joints with a click (HVTs) but not as often as people might think. Certainly if there are techniques which you would rather avoid this is not a problem; osteopaths are trained in a variety of techniques which can achieve the same results. Cranial osteopathy is a refined and subtle form of treatment that encourages the release of stresses and tensions in the body. 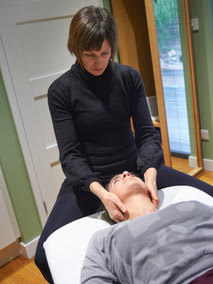 The name implies that cranial osteopaths only examine and treat the head and, although particular attention is paid to the head, the approach can be used on any area of the body. It is a gentle yet extremely effective approach and may be used in a wide range of conditions for people of all ages, from birth to old age. 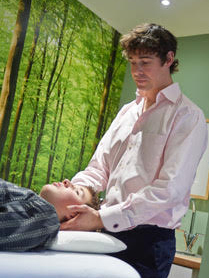 Cranial osteopaths are trained to feel a very subtle, rhythmical shape change that is present in all body tissues. This is called Involuntary Motion or the Cranial Rhythm. Tension in the body disrupts the cranial rhythm. This tension can result from stresses and strains your body is under at present or has been in the past. Practitioners compare what your rhythm currently feel like to what they feel could be achieved and use gentle treatment techniques to bring your body towards a more balanced and harmonious state. Kim completed her training with the British College of Osteopathic Medicine (BCOM), completing over 1000 clinical hours and graduating with a Masters degree in Osteopathy. Kim also holds a diploma in Naturopathy, which qualifies her to advise on dietary and lifestyle issues. Since graduation Kim has lived in Alberta, Canada working as a principal osteopath treating people of all ages with a variety of injuries and ailments. She was also on-hand to treat the local ice hockey team! Outside of osteopathy Kim’s personal interests are running, going to the gym, roadtrips and cooking (mainly vegetarian food but she especially loves making cakes! ).